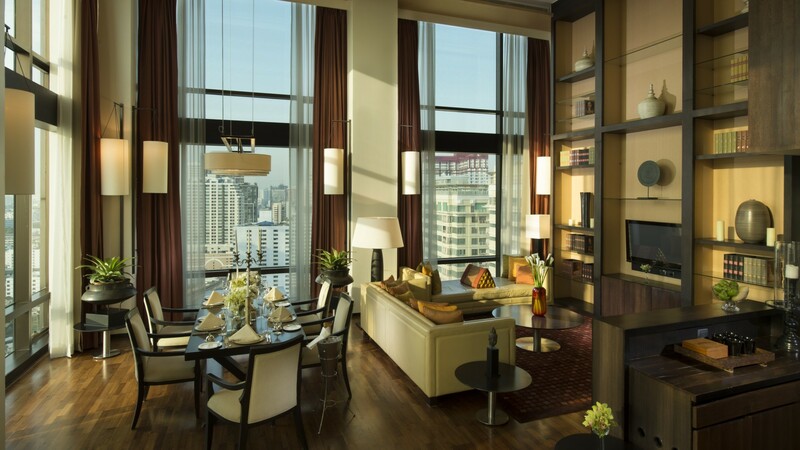 VIE Hotel Bangkok, MGallery Hotel Collection is a luxury Bangkok hotel near the Siam area. This friendly hotel in the city is a superb location for both leisure and business. Perfectly convenient, VIE Hotel Bangkok is a Bangkok hotel just steps away from the BTS Skytrain Ratchathewi station. Within ten minutes walk from the hotel are the city’s most renowned shopping malls. 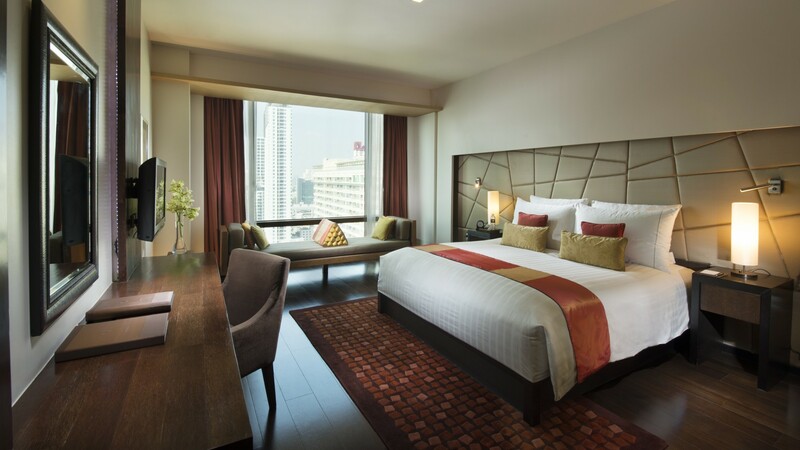 Right in the city centre, this Bangkok hotel provides comfortably spacious rooms, suites, restaurants and excellent amenities. As a superb Bangkok hotel for business, it boasts excellent conference and seminar facilities. VIE is also perfect for a special weekend or for family stays. With the hotel’s 24-hour butler service, a professional and attentive VIE Butler is at your service to fulfill your every requirement. VIE Hotel Bangkok truly offers a unique stay during your Bangkok trip. Dining options at VIE are various. La VIE – Creative French Cuisine restaurant offers fine dining and a romantic atmosphere. Besides, YTSB – Yellow Tail Sushi Bar features superb Japanese cuisine, with well-prepared portions of extremely fresh sushi. Perfectly suiting your lifestyle, the premium facilities of We signature fitness club makes it well worth a visit. 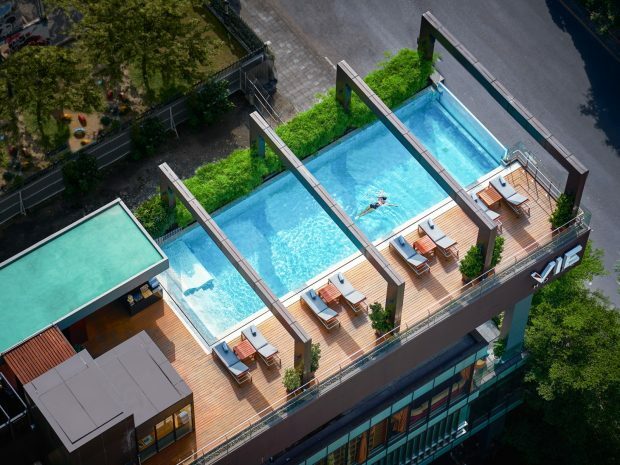 Enjoy leisurely hours at the stylish rooftop VIE pool with its unique infinity design and completely transparent walls surrounding it. Therefore, the pool offers intriguing city views of one of the world’s most exciting cities. Since 2013, VIE Hotel Bangkok has hosted various renown Michelin star chefs. With their talents and the best ingredients, these Michelin star chefs create memorable dinner events for a lifetime. This Bangkok hotel has received the Five-Star Hotel Thailand Tourism Standard Certificate (Year 2011 – 2017) from the Department of Tourism. VIE is also a yearly recipient of the TripAdvisor Certificate of Excellence. In 2010, this luxury boutique hotel won “Trendy in Asia” by Tripadvisor Travelers’ Choice Award.